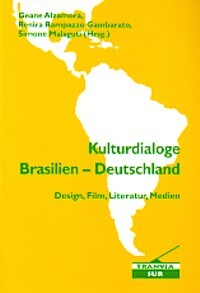 “Transmedia Storytelling Initiatives in Brazilian Media” was published in a special issue of the Medien Journal – Zeitschrift für Kommunikationskultur (University of Salzburg, Austria). Edited by Dr. Kurt Luger, this issue is dedicated to media in the BRICS states. 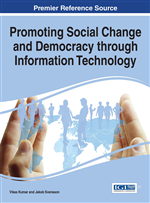 This paper is presented in order to understand the evolution of media dynamics in Brazil and investigate its perspectives for the future. Brazil, among the BRICS states (Brazil, Russia, India, China and South Africa), is our focus. From a mono-mediatic paradigm to a convergent one, Brazil is developing new practices in fictional and non-fictional media. Our hypothesis is that the transmedia storytelling strategy is both the reality – although still timid – and the most probable future scenario for media development in Brazil. Therefore, we explore examples of transmedia storytelling initiatives in Brazilian media mainly related to journalism, entertainment, branding and advertisement. GAMBARATO, Renira R. and ALZAMORA, Geane (2012). Transmedia Storytelling Initiatives in Brazilian Media. In LUGER, Kurt (Ed.). Medien Journal – Zeitschrift für Kommunikationskultur: Kommunikationsraum BRIC, year 36, n. 4/2012, 51-62.. This article addresses key concepts such as sign, system and complexity in order to approach transmedia storytelling and better understand its intricate nature. The theoretical framework chosen to investigate transmedia storytelling meanders is Semiotics by Charles Sanders Peirce (1839-1914) and General Systems Theory by Mario Bunge (1919-). The complexity of transmedia storytelling is not simply the one of the signs of the works included in a transmedia franchise. It also includes the complexity of the dispositions of users/consumers/players as interpreters of semiotic elements (e.g. characters, themes, environments, events and outcomes) presented by transmedia products. It extends further to the complexity of social, cultural, economical and political constructs. The German transmedia narrative The Ultimate SuperHeroBlog by Stefan Gieren and Soﬁa’s Diary, a Portuguese multiplatform production by BeActive, are presented as examples of closed and open system transmedia storytelling respectively. See an interview with the author Andrea Phillips.